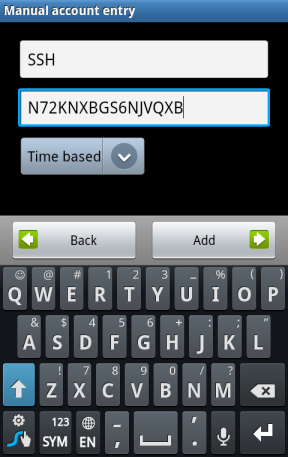 Enter the secret key in the Google Authenticator app on your phone (official apps are available for Android, iOS, and Blackberry. You can also use the scan barcode feature – go to the URL located near the top of the command’s output and you can scan a QR code with your phone’s camera. 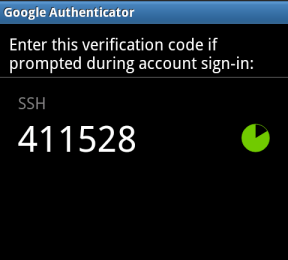 Just run google-authenticator as the user which you want to enable 2 factor authentication for.